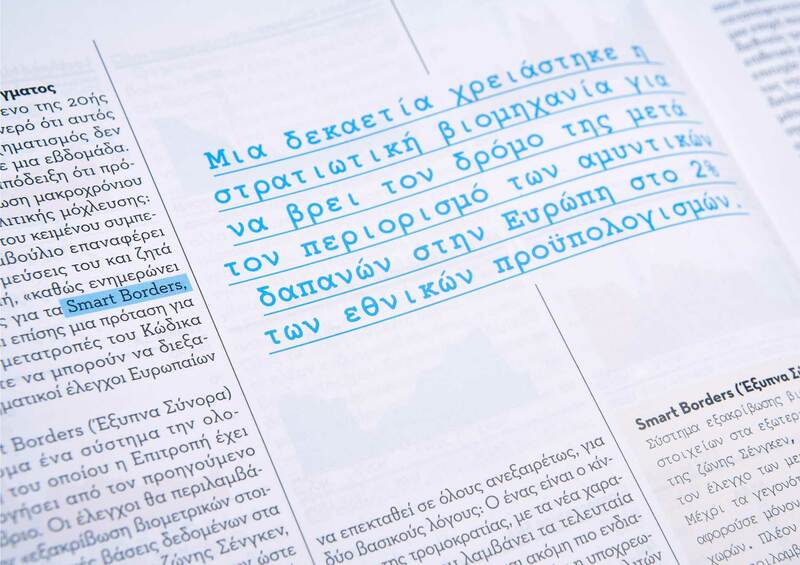 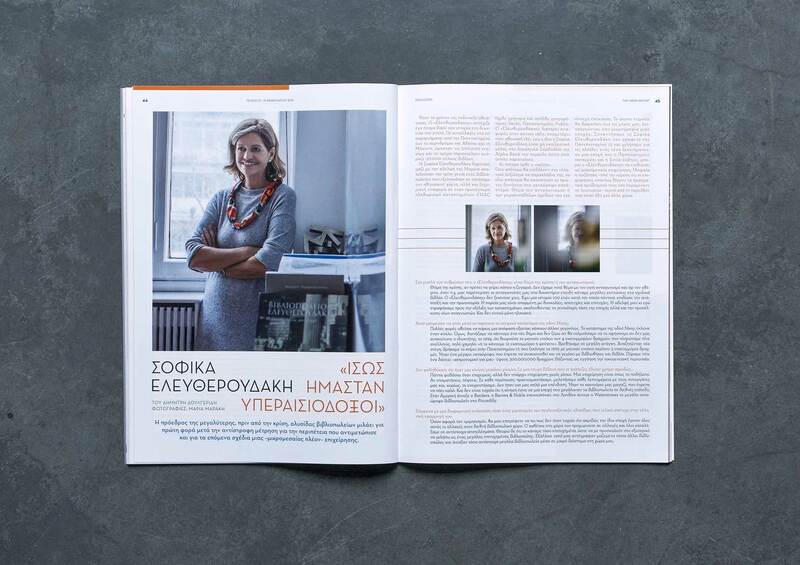 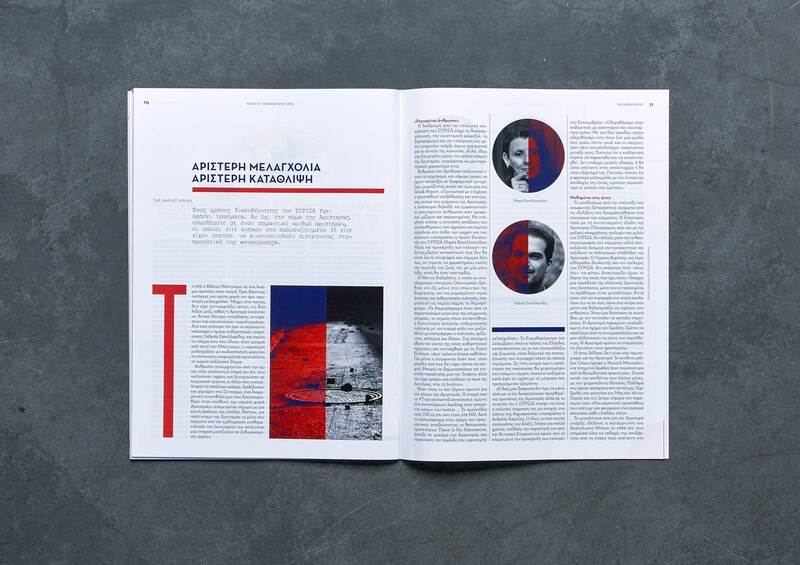 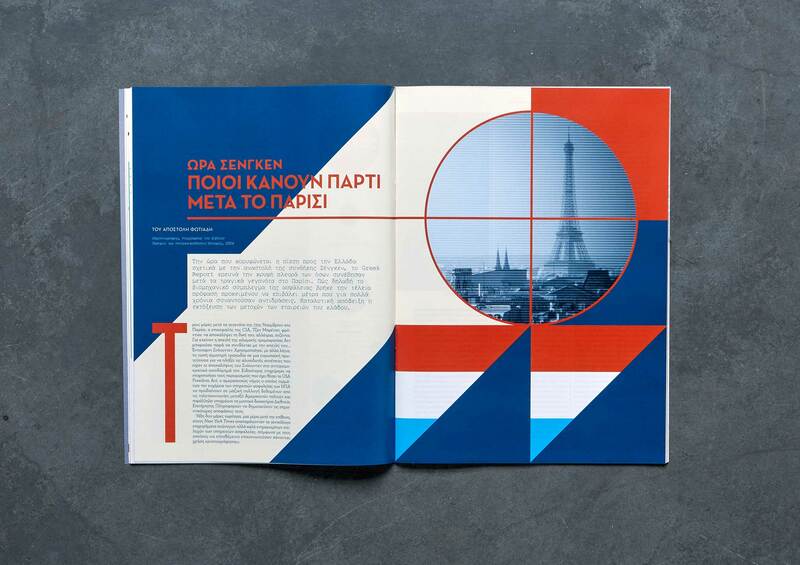 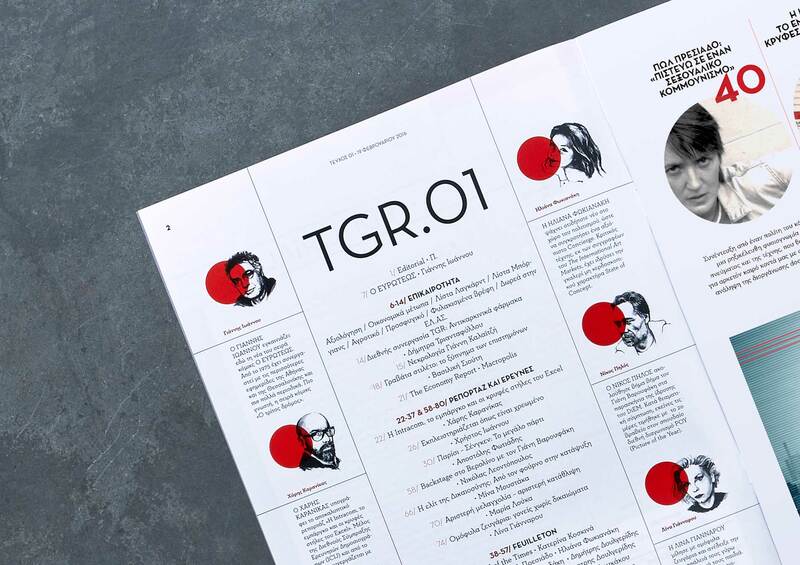 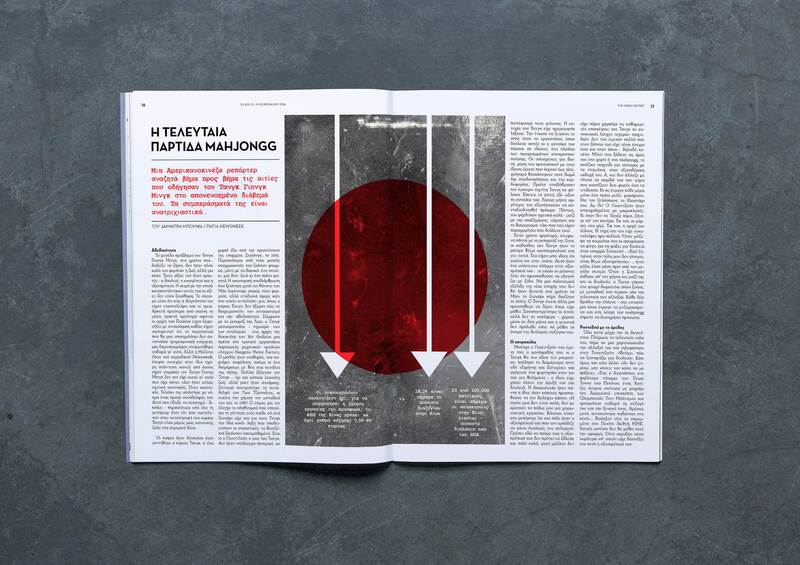 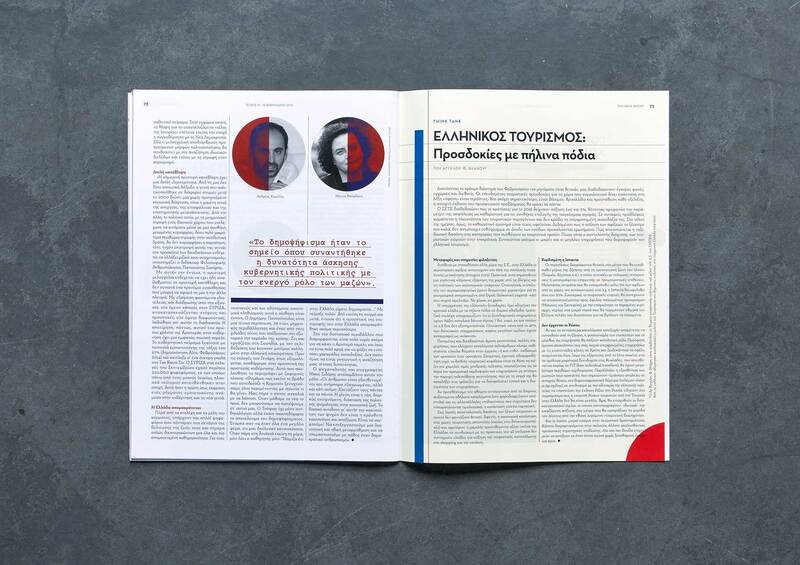 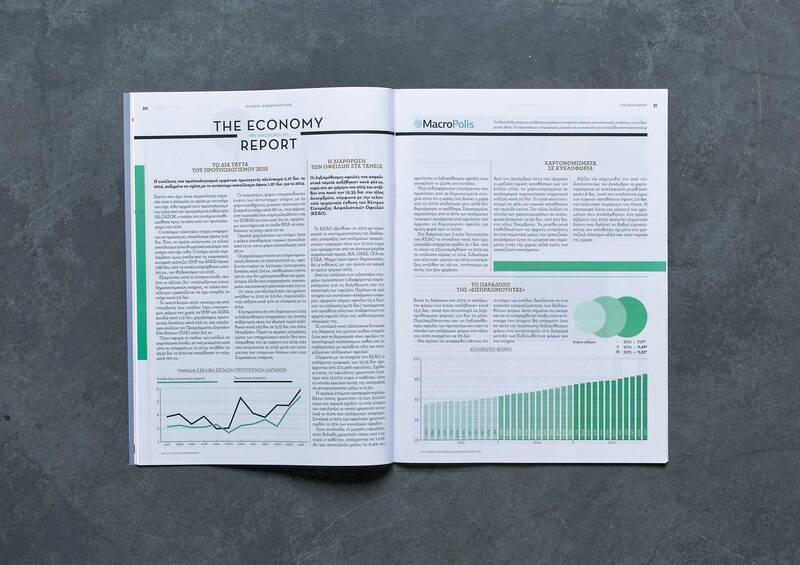 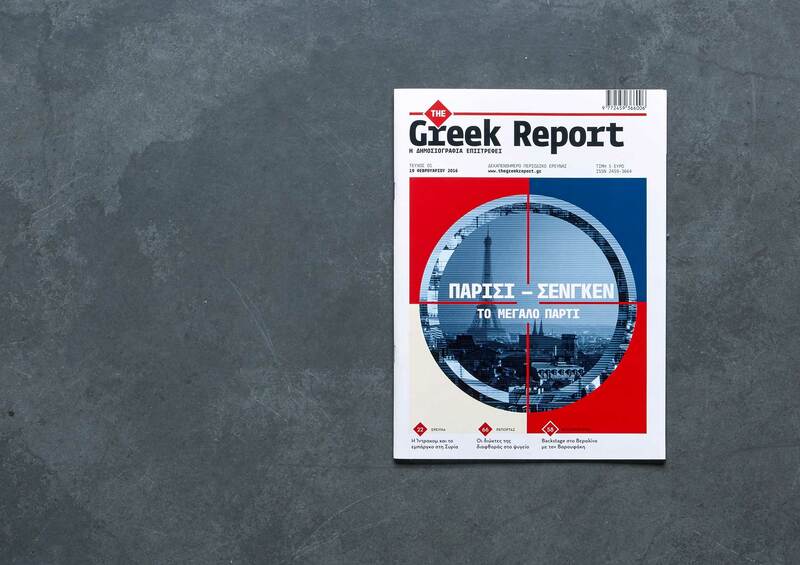 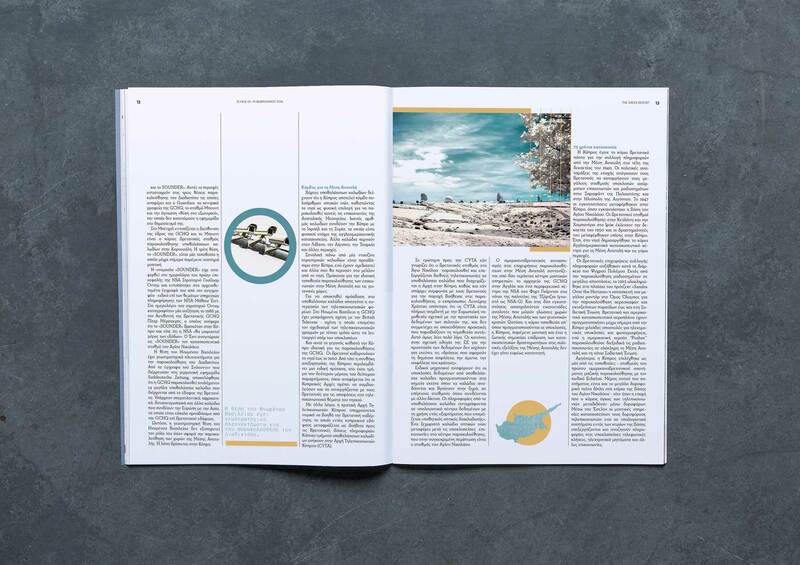 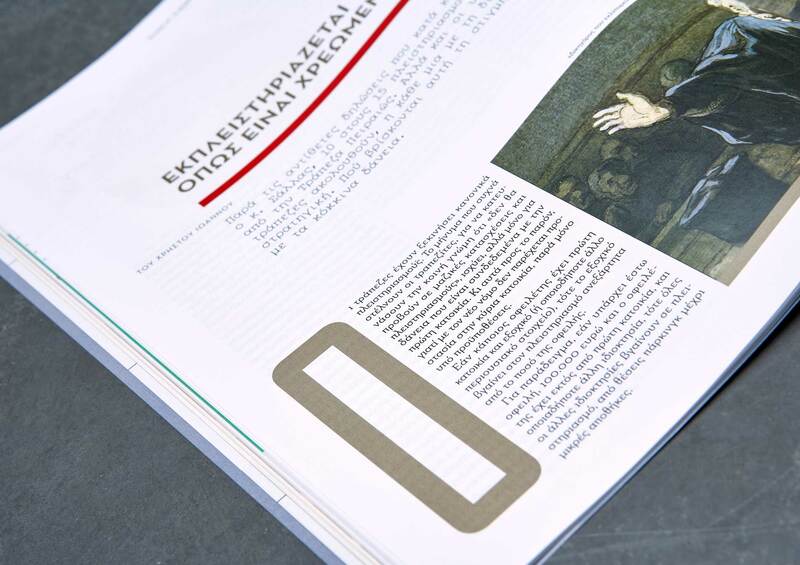 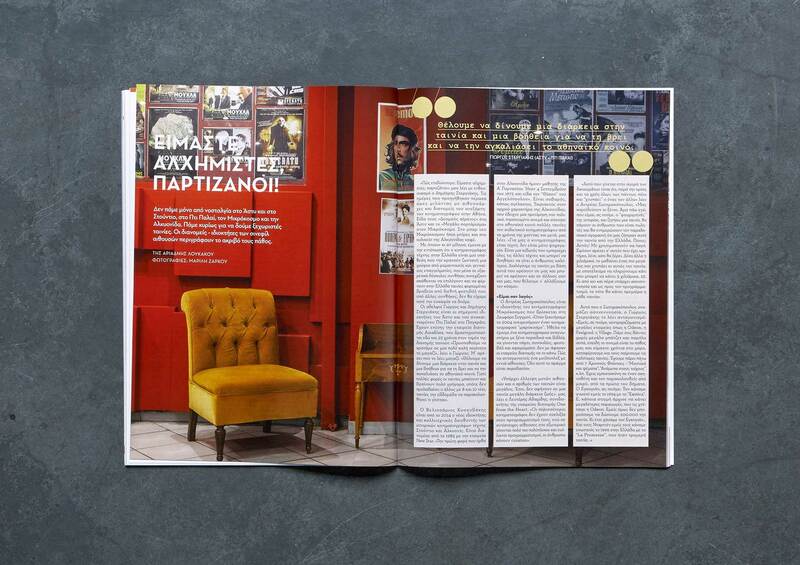 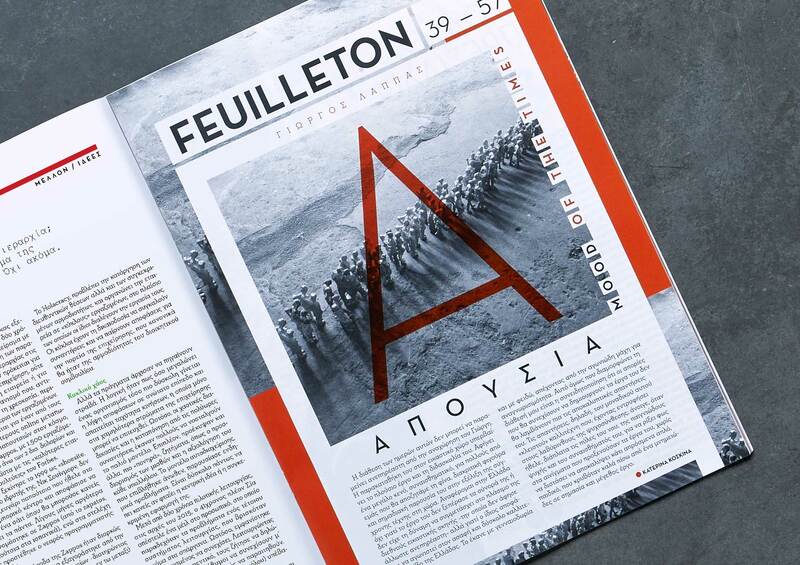 Art direction & editorial design for The Greek Report, a new semi-monthly magazine based on political reportage, social but also cultural subjects. 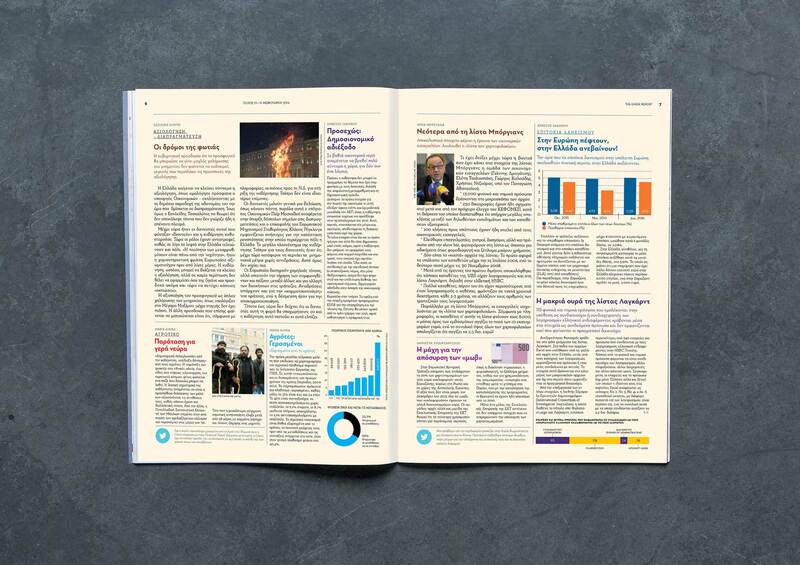 Readers come across important essays, exclusive news and interviews, infographics and analysis on current events. 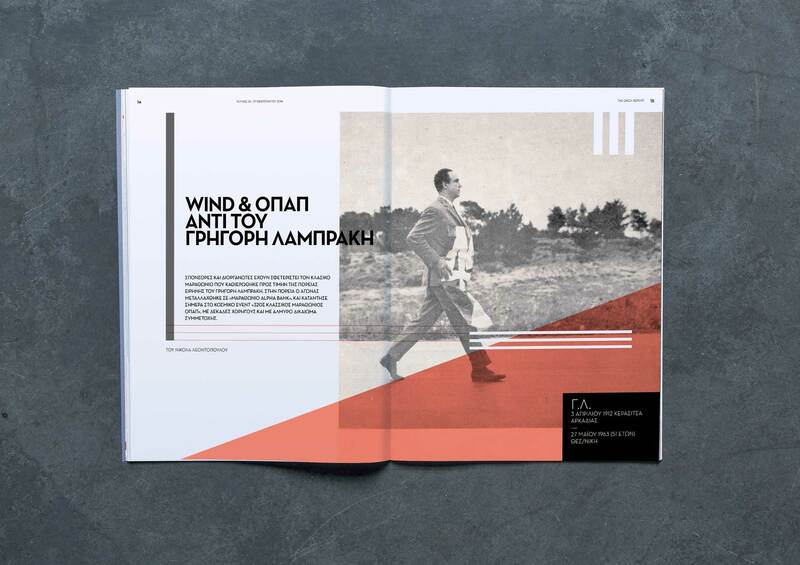 Through the design we managed to extrude freshness, vibrancy and memorability so it could represent the basic values of it while at the same time differentiate from the competition. 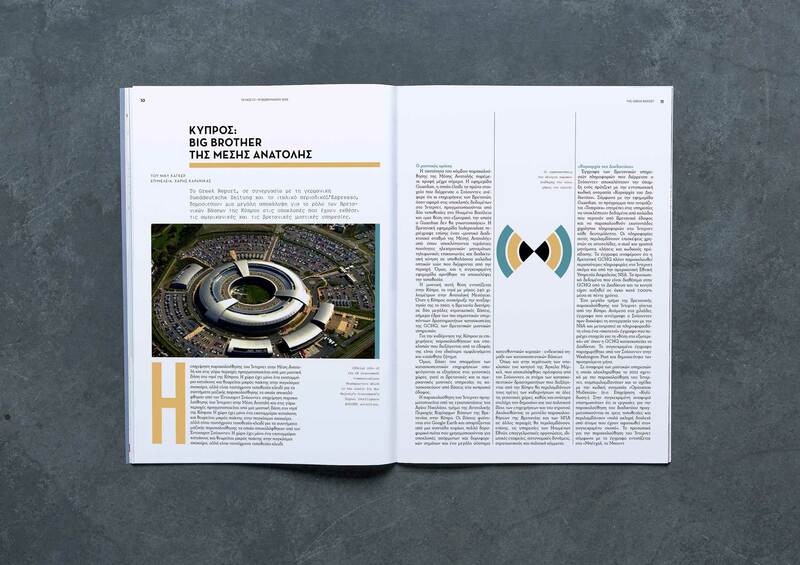 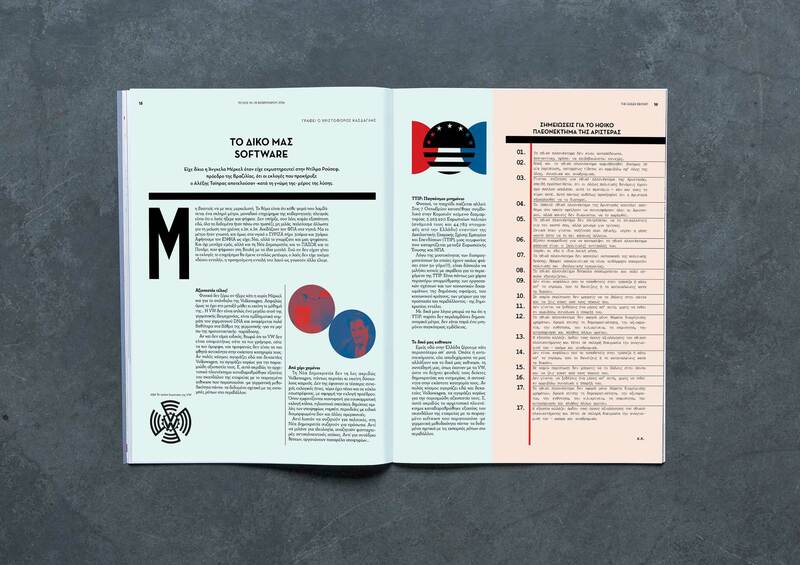 The design should also be approachable and it should embody all the above essential features, since it represents not an essay-based magazine but an everyday one, with all the spontaneity and immediacy involved. 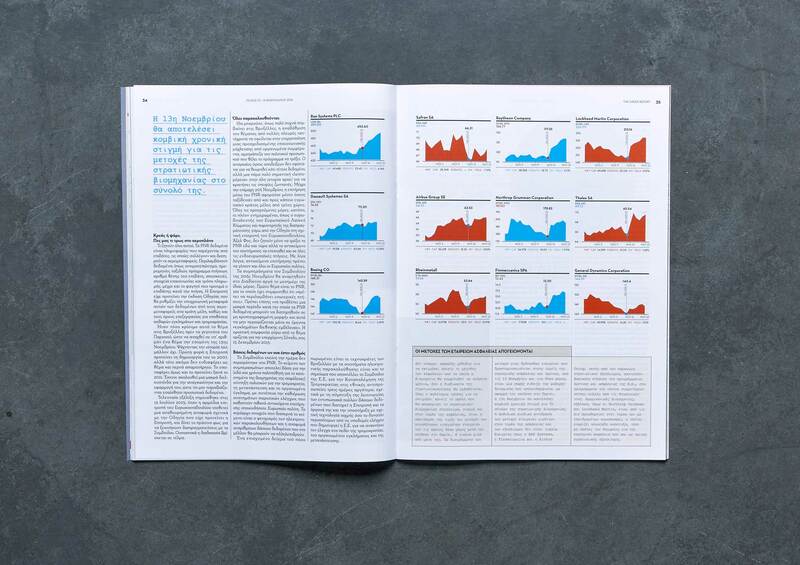 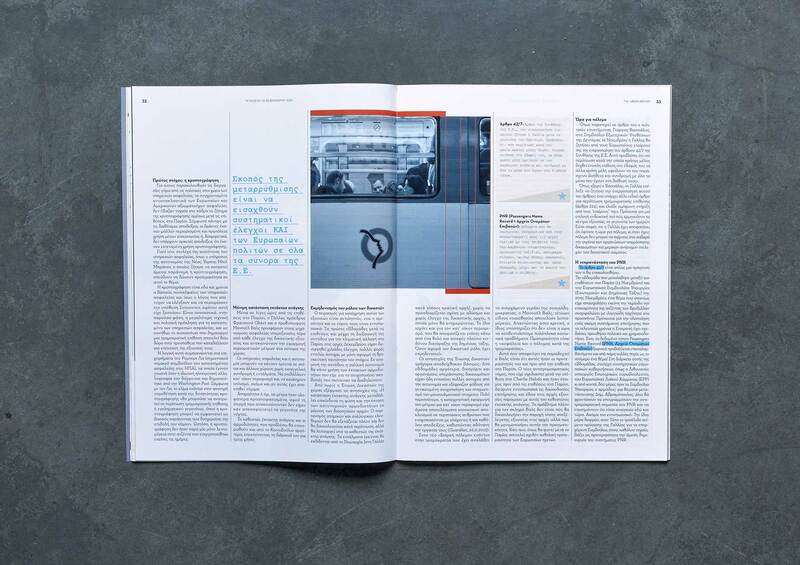 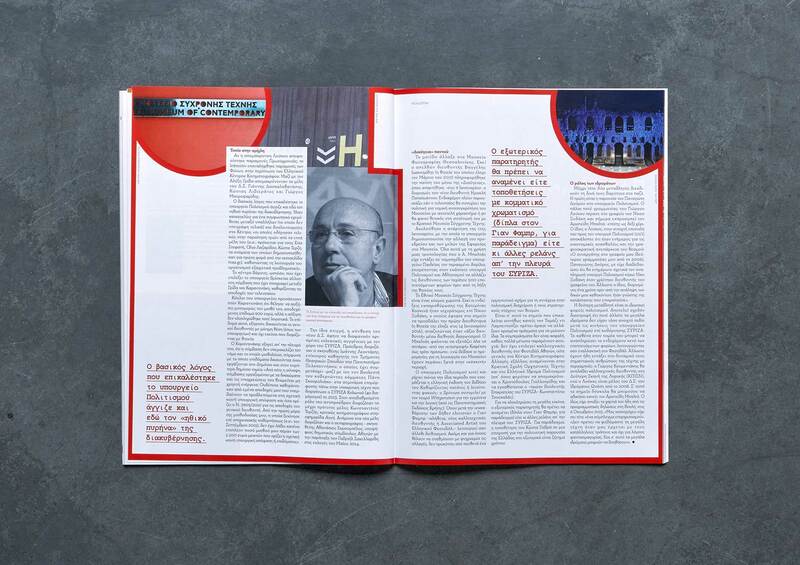 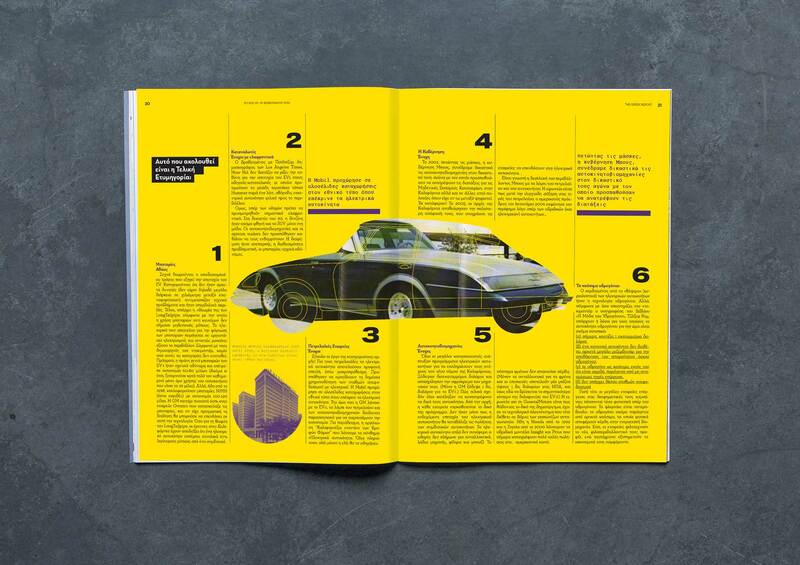 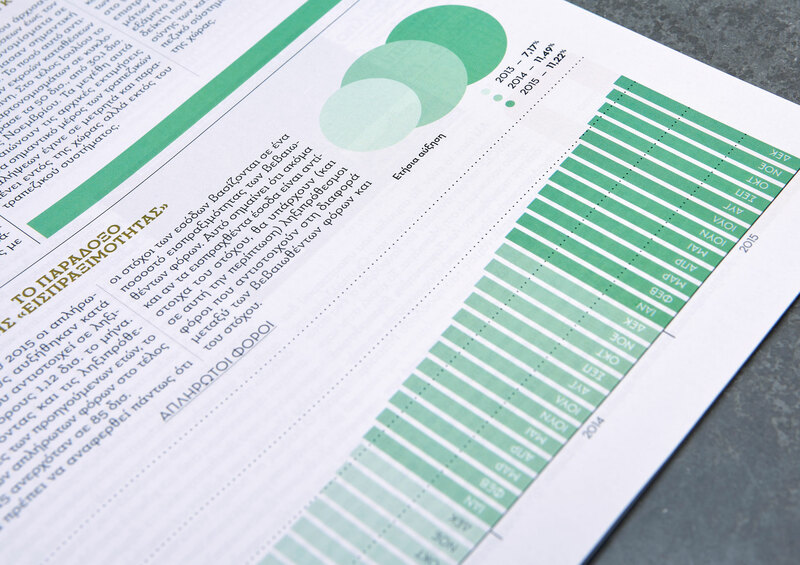 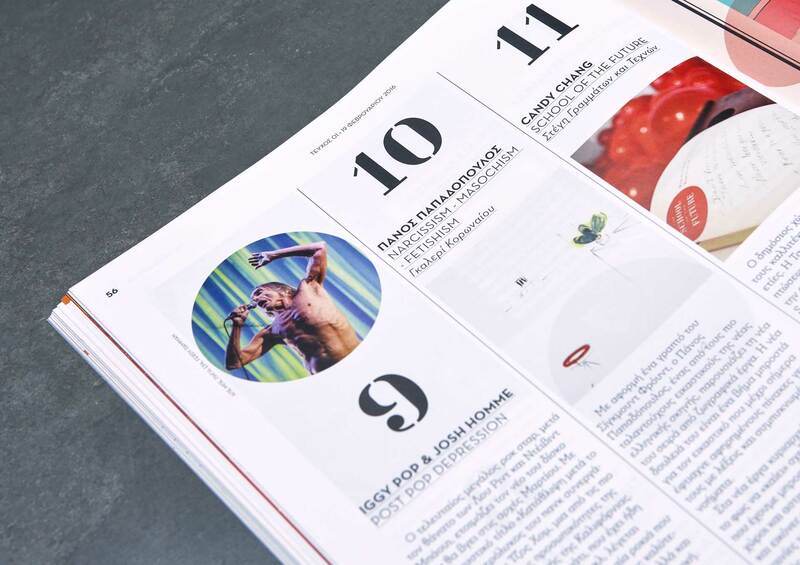 These features were also expressed not only by the vibrant layout but also typographically by the usage of two typefaces: Neutraface family, that reflects this freshness, sharpness and accuracy while the research and documentation part of the magazine was expressed through Courier New by Monotype.